NANTUCKET, Mass. — Chelsea Manning told a crowd at a "creative thinkers" conference in Nantucket that she's not a traitor as her critics have claimed and she did what she thought was the right thing to do. Manning is attending the annual conference for The Nantucket Project on Sunday in Massachusetts. The Nantucket Project is a venture founded to bring together creative thinkers to uncover the ideas that matter most. Organizers say about 600 people are attending. This is only Manning's second public appearance since being released from a military prison in May. "I believe I did the best I could in my circumstances to make an ethical decision," she told the crowd when they asked if she was a traitor. 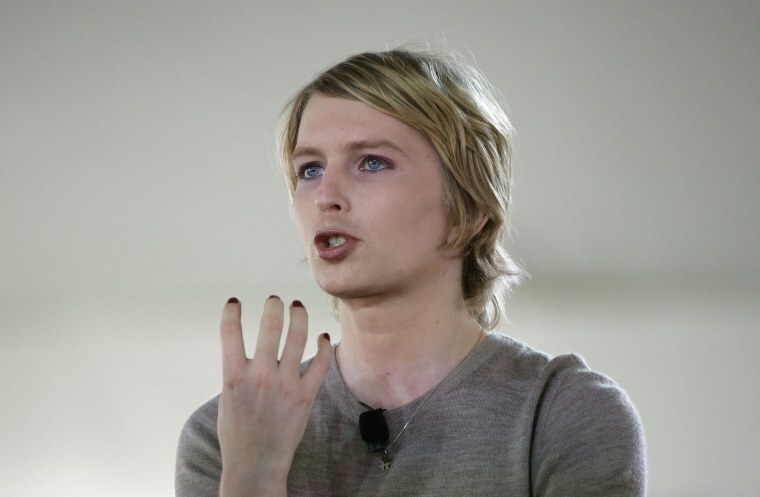 The 29-year-old Manning is a transgender woman who was convicted in 2013 of leaking a trove of classified documents. She was released from a military prison in May after serving seven years of a 35-year sentence, which was commuted by President Barack Obama in his final days in office. Several audience members said they were intrigued to hear from Manning. Sara O'Reilly, a Nantucket resident who has attended several past conferences, said the speakers are typically a "little edgy." She said she doesn't judge Manning and other people have done "far worse" things. Scott said some of the attendees were upset that Manning was invited, but he didn't consider retracting the invitation. Harvard University reversed its decision to name Manning a visiting fellow Friday, a day after CIA Director Mike Pompeo scrapped a planned appearance over the title for Manning. Manning said Harvard's decision signaled to her that it's a "police state" and it's not possible to engage in political discourse in academic institutions.